23rd August – 1st September 2018. 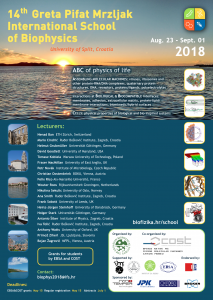 Organised by the Croatian Biophysical Society together with the COST Association Actions CM1306, BM1403 and CA15126. 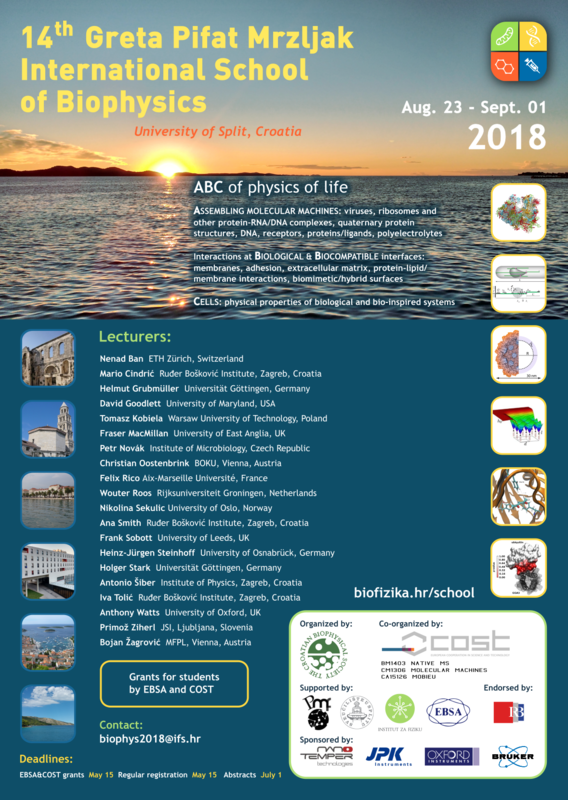 Since 1981, the School has been introducing the participants to various vantage points and aspects of the physics, chemistry and structure of biological and soft matter systems. 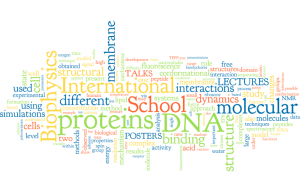 The participants (mostly Ph.D. students) and lecturers come from comparably diverse scientific communities. Please apply for a bursary here and also include the various PDF documents. The deadline for applications is 5pm on Friday May 18th. We are aiming to provide a decision on the award of bursaries by June 4th. You are expected to present a poster: Would you also like to be considered for a short oral presentation?